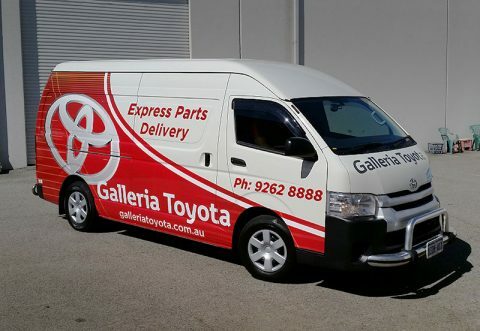 Vehicle signage by Perth Graphics Centre helps you to be seen, and our dedicated team of designers and installers are always up for a challenge. Every single car is different, so there’s no one-size-fits-all approach. 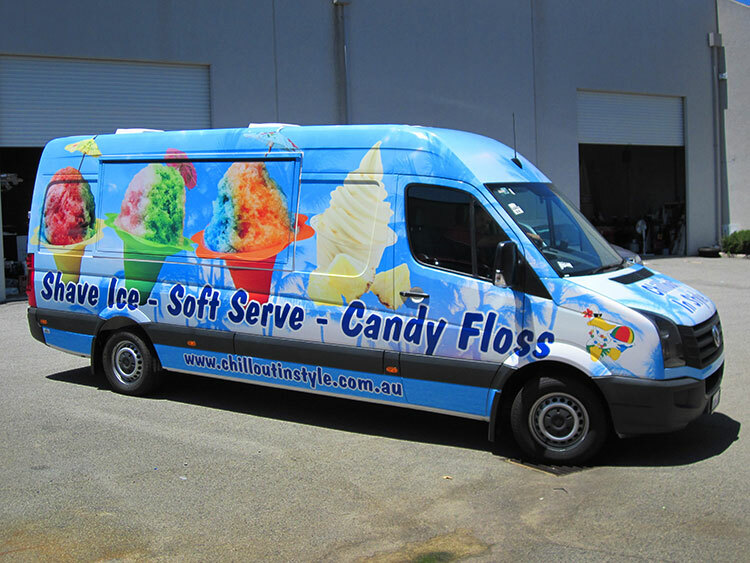 We fit signage onto cars, trucks, buses, earthmoving equipment – really, any vehicle at all. 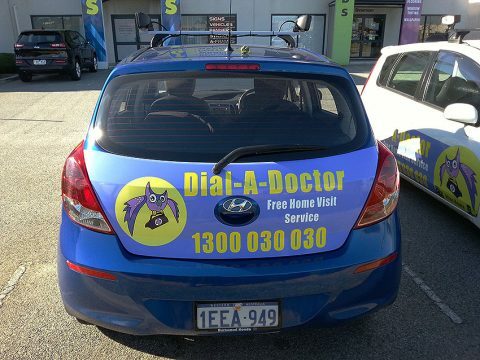 Every car has some room to include signage, so why not have a mobile billboard? We only use cast vinyl on vehicles, which is the best quality and last the longest. Cars on the road are subject to harsher conditions than any normal sign, so you always need the best. And that’s what we provide. Whether it’s a simple logo on a door, or a full vehicle wrap, we can do it. Have a look through the articles below to find some ideas for your vehicle signage. Vinyl lettering for vehicles – what’s the best? I need a quote on some service loan car stickers to be designed and done. Please email me some previous works and prices. I am looking at getting quotes for back window signage on an IMax – business vehicle. Just wanting to look into getting some advertising of our new business logo on my husbands ute. He has a white Toyota Hilux. After some quotes/ ideas on price. I’m looking for an estimate on a wrap for a kids quad bike. Got a Suzuki lt 50 that we’d like to have the plastics covered in a pink wrap. Thanks for your time.